EWG scientists reviewed Maia's Mineral Galaxy Natural Liquid Eyeliner Black for safety according to the methodology outlined in our Skin Deep Cosmetics Database. We assess the ingredients listed on the labels of personal care products based on data in toxicity and regulatory databases, government and health agency assessments and the open scientific literature. 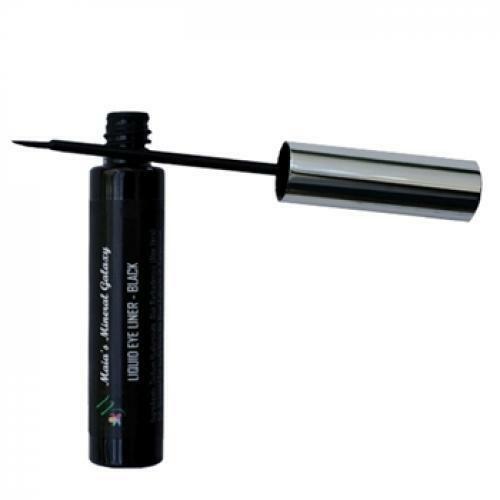 EWG's rating for Maia's Mineral Galaxy Natural Liquid Eyeliner Black is 1. Sodium Hyaluronate, Aloe Barbadensis (Aloe Vera) Gel, Seaweed Gel made from the Algae Extracts of: Sargassum Filipendula Extract, Hypnea Musciformis (Hypneaceae) Extract & Gellidiela Acerosa Extract, Ceteareth-20, Stearic Acid, Euphorbia Cerifera (Candelilla) Wax, Copernicia Cerifera (Carnauba) Wax, Beeswax, D-Panthenol (Vitamin B5), Citrus Grandis (Grapefruit) Seed Extract, Iron Oxide (77499).